This year HalalFocus is 10 years old. We started this project in 2007 because we wanted a way to stay on top of what was happening in the Halal market arenas around the world. So we created HalalFocus as our online filing cabinet of news, opinion, research papers, statistics, reports…anything we found useful…and some of our own writing too. We decided from the start to keep it free, as a useful contribution to the growing Halal market movements around the world. As of April 2017, there are 5,500 articles in 70 categories, and we add something new most days. The past decade has seen almost unbelievable growth in all the Islamic Economy sectors. We know from our own experience that governments, major corporations, SME’s, investors and entrepreneurs around the world are all increasingly recogising the scope, depth and breadth of this new market paradigm. It is an engine driving towards a new kind of commerce, lawful and wholesome, with a whole new customer base who want to live by their values. So, to celebrate our 10th birthday, we are making our new App available as a free download on both the Apple and the Android platforms, for phones and tablets. 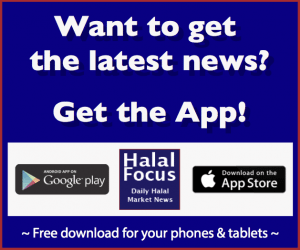 So if you want the Halal market news as it happens, get the App, and let’s all keep on growing together! « UK: Call for PHD Scholarships!